I am just going to start this blog but saying that sometimes in life no matter how knowledgeable you are there are sometimes no lessons valuable or hard enough than those lessons learned by personal experience. This last weekend was a lesson that gave me not just the knowledge to be able to help others but it completely schooled me in a lesson I will never ever forget. The past few weeks I have been managing to put in some really decent mileage into my training with some nice volume sessions on the bike. 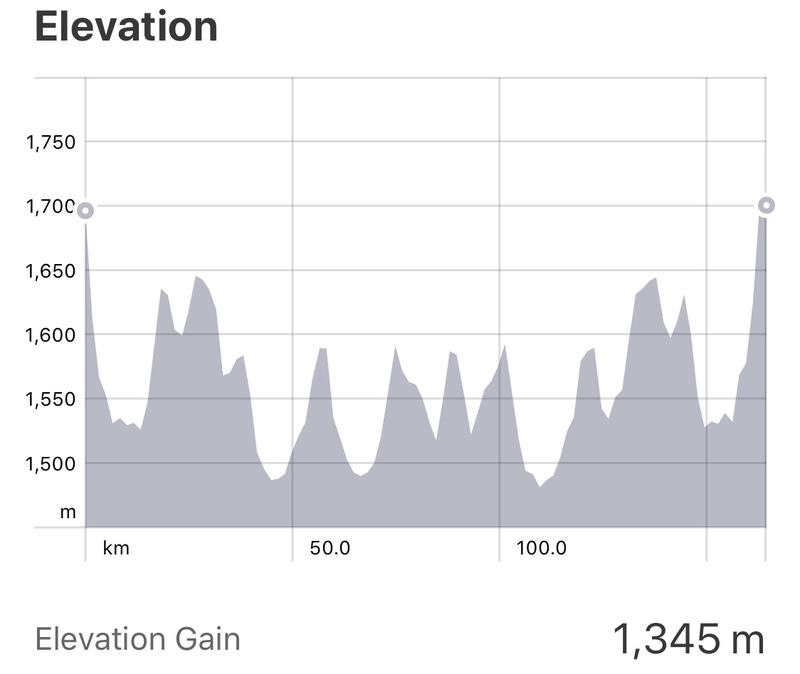 Two weeks ago I had a stellar 165km ride (data posted below) but this past weekend over a similar distance and conditions I landed up in an absolute sufferfest of a session. Over the past twenty years no matter how hard I have raced or trained I had never felt like this in my entire life. 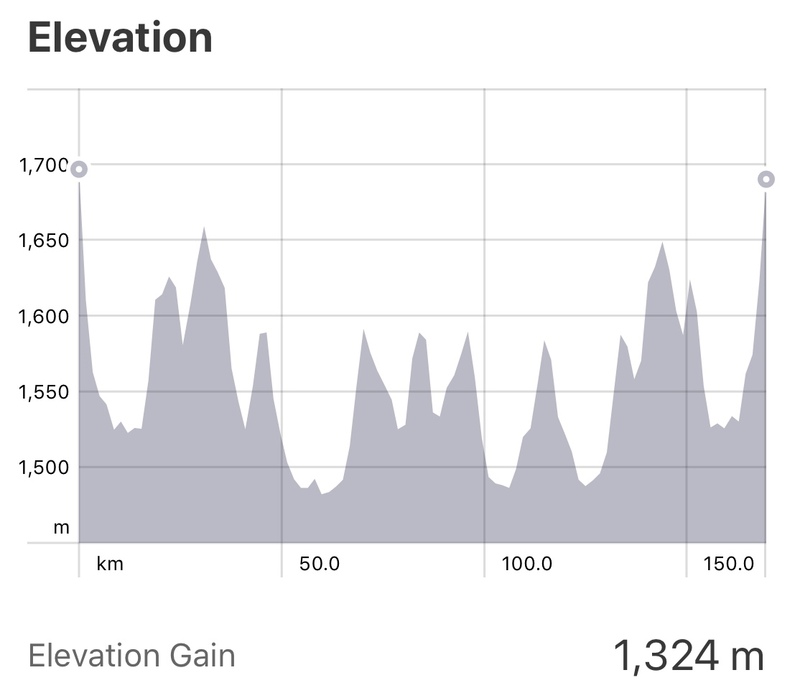 I was thinking back to some of the most excruciating races I had done and in actual fact nothing came vaguely close to what I experienced on last weekends ride. Lets take a step back and I will explain everything in detail to set the tone. Five of us headed out on what was structured to be a five and a half hour session. The guys I am riding with are all doing Ironman in a few months and the volume weeks are in full swing. It was breezy but not overly so and the temperatures at our 6am departure were mild but expected to climb fairly high later in the day. I was feeling really good when I woke up. Had a perfect pre-training meal and off to meet the guys for the start. My first four hours on the bike were solid I was sitting at around a 34-35km/h average speed. We do not ride in bunches we go solo its the proper way to train for a triathlon. Just over four hours into my ride my right adductor suddenly tightened and then eased up. It was a strange feeling it had never happened to me before. I realised it was hot and I decided top up my water bottle at a shop on route. While doing so the other guys had passed me and I was just going to play catch-up and try to ride back to them. I climbed on my bike and started a gradual incline to head back towards the home stretch. In the distance I could see one of the cyclists but I was not feeling great at all. It was a kind of ill feeling and I just hung in there and spun the pedals. As I crested the climb I noticed they were stopped on the side of the road as one of the cyclists had punctured and they were helping with the repair. I stopped and waited but at that stage a wave of nausea and fatigue came over me. I was thinking this is absolutely not normal. Johnny one of my one training partners asked if I was OK and I was like “No, I feel terrible but we nearly home and I will just spin it out”. We carried on and unfortunately where we live and train absolutely nothing is flat and there is always a wind and on this day the direction was not overly kind. We reached an area which started to descend and gave me some respite but as we started the ascent on the other side both my adductor’s suddenly locked. I was in absolute pain. The last time I ever cramped was in 2003 (I remember that race clearly and knew what caused it) but absolutely nothing since. I stood out of saddle trying every stretch possible and nothing. I had half a bottle of 32Gi hydrate left and downed it quickly. I realised at that point that only some mineral loading might help and within minutes of consuming the bottle the cramping eased but my concern was for how long? I carried on riding and when I hit the next climb the cramps hit me again but this time even worse. The situation was really not good, nausea, fatigue and now the cramps. I did not want to stop yet and I knew there was a petrol station down the road so I spun it out and when I got there I decided to down a high sodium drink again trying to settle the legs a little. It seemed to work and I carried on. It was plain sailing now with the wind behind for seven kilometres before we hit the last nasty seven kilometre climb back to the Virgin Active gym where my car was parked. As we hit the climb back towards home my legs started again and I was feeling worse by the minute. I was hanging on by a thread and eventually with 2km’s to go I just stopped on the side of the road. He looked at me and said its just 2km’s back. I was thinking those 2km’s are going to be the death of me, but I will spin it out. I got back to the gym, my average speed had dropped down significantly in the last half an hour which was a true reflection of the agony I was going through. I got off my bike and collapsed into the boot of my car and lay there for a while. I could not move and anyone that tried to come and talk to me at that moment in time I hated and wanted nothing to do with the world. I eventually managed to get into the gym and ordered two ice cold bottles of water from the Kauai. I threw some 32Gi hydrate into each and started to down them. I made my way to the change room to shower and I sat down there for around 15 minutes before I could even move to the shower. Eventually I managed to shower but was still feeling really ill and when I came back to change it took another 15-20 minutes to get dressed as my legs were locking so badly. I could not even get my socks and shoes on. I was thinking that this was quite a turn of events as the week before over a similar ride distance and effort I was bouncing out the gym my legs were so fresh the next day that I hammered them in a strength session. On this day however I felt like I needed to be carried out. I just could not understand. I knew I was severely dehydrated but why? I have trained in some of the hottest climates in the world and I am so acclimatized to exercising in the heat and never ever had an issue. Something went wrong and I needed to find out what. I went to the scale to weigh myself. The scale revealed the truth as to how dehydrated I was. I had consumed over 5 litres of fluid and my body weight was still 2.7kg down and my current weight is 63kg’s. Now you can do the maths that was a huge deficit. I had succumbed to severe dehydration. This weigh in was after consuming some post session fluid. That means that I probably hit around 6-7% during the session maybe worse. But why? I then looked at my session data. 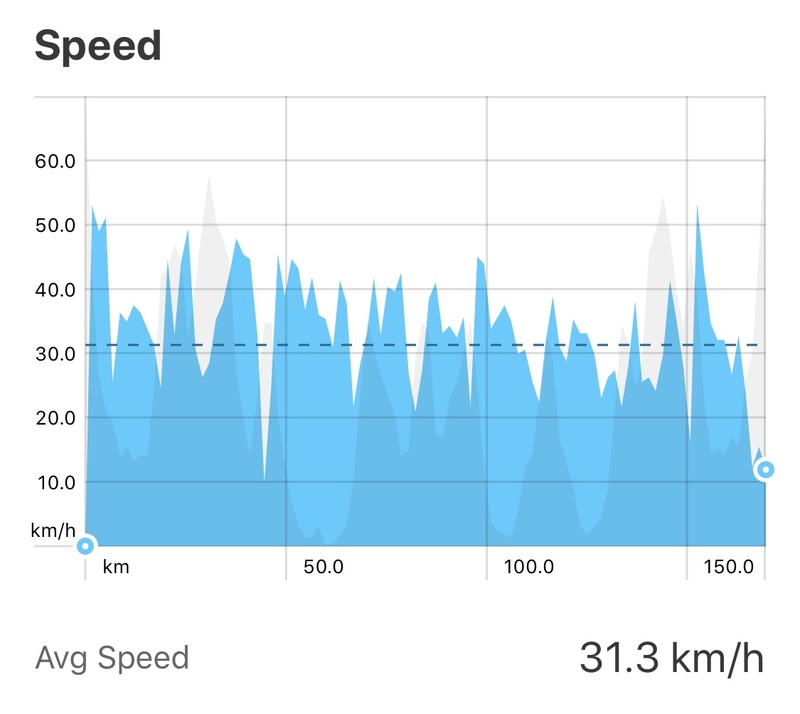 My speed had dropped from an average of 34.5km/h to 31.3km/h in the last forty minutes. I definitely crashed and burned. 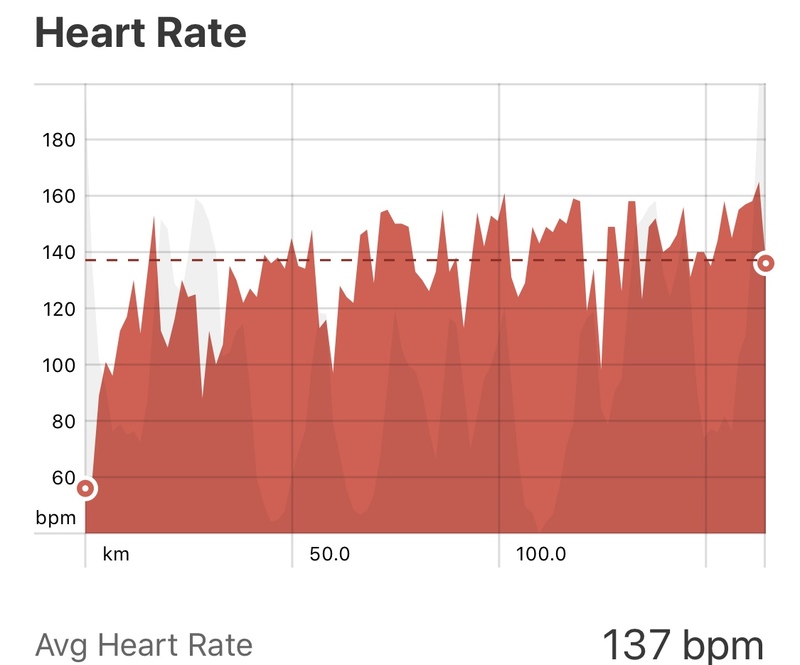 My average speed last week on my 165km ride was similar to this week and my average heart rate was around 129BPM for the entire session. 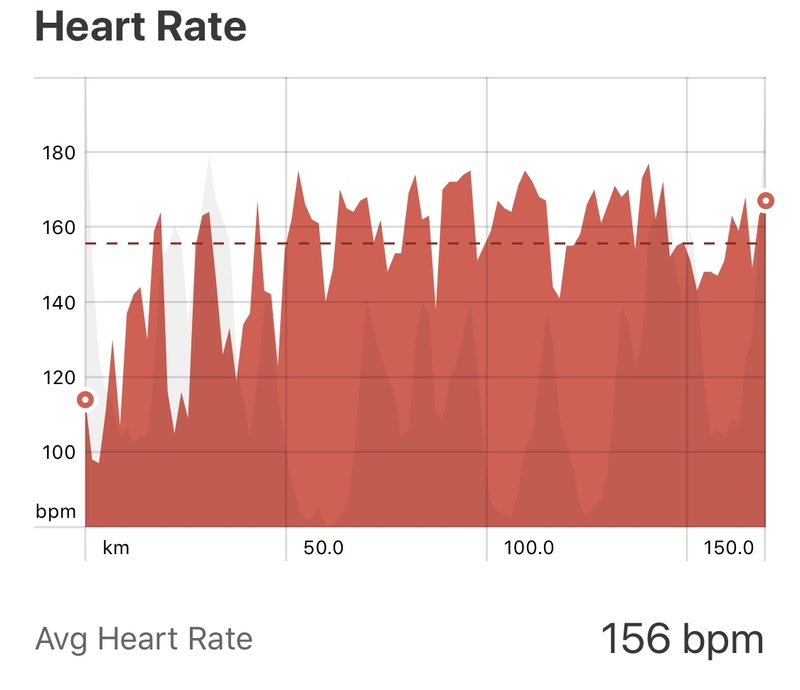 When I looked at my heart rate data for this session I was shocked. My average for the entire 5.5hrs was 156BPM. Now for some it might not sound high but for me its very high as it sits at over 85% of my MHR. This was not normal and something had happened. 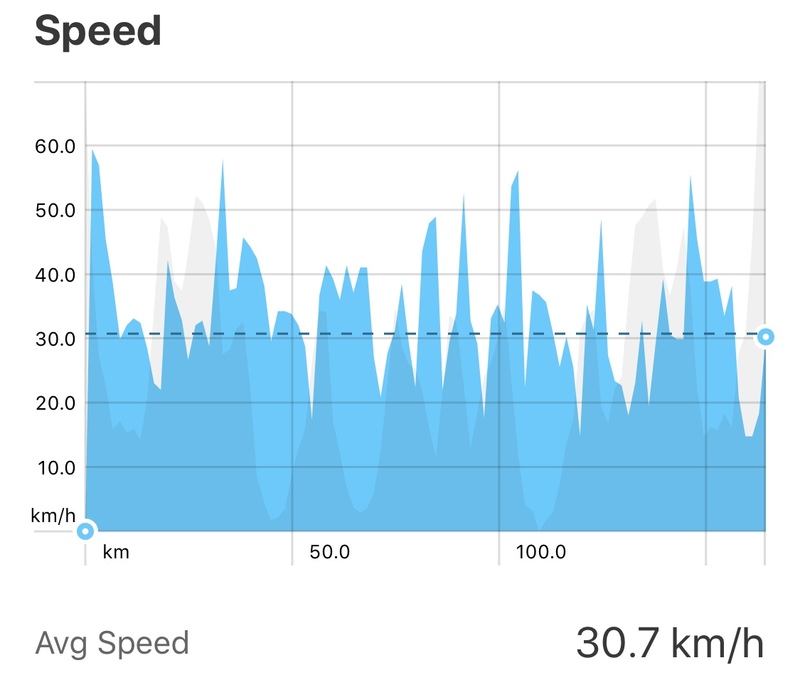 Below are some graphs of previous weeks ride similar route and effort (the week before the wind was incredibly tough head wind so speeds were slightly down, but overall effort was consistent) the left column is the previous ride while the right column is my personal sufferfest. I traced my steps backwards and then suddenly it dawned on me. The night before I was lying in bed and I started to feel a post nasal drip which was burning and aggravating so I decided to take a decongestant to prevent the onset of illness. I have used this decongestant before and to be honest its been useful when needed. Generally though when used in the past it has been around 24hrs out from shorter sessions however this time it was around 9hrs out from a long session. When I woke up I was feeling great and my sinuses were nice and clear no aggravation. The problem is that most decongestants especially this one are vasoconstrictors. This means that the blood vessels are narrowed due to contraction of muscle walls of the vessels especially large arteries and small arterioles. This is how they work by constricting the vessels in the nasal passages. I usually stay away from medication completely but I have a type of re-occurring illness from a virus I contracted in 1999 and it triggers in the sinus tracts so this was my way of preventing it. The problem is the half life of this vasoconstrictor seemed to hit my training session and when the vessels are narrowed it also means that the body’s natural cooling mechanism wont function properly. In order for cooling to happen during exercise our body’s are designed to promote heat dissipation by sweat evaporation through increased skin blood vessels. This is a process called vasodilation and this occurs when exposed to heat. But in my case I had taken something which constricted the vessels causing my body to heat up extensively without realising it. This of course severely elevated my heart rate and started a large chain of events. 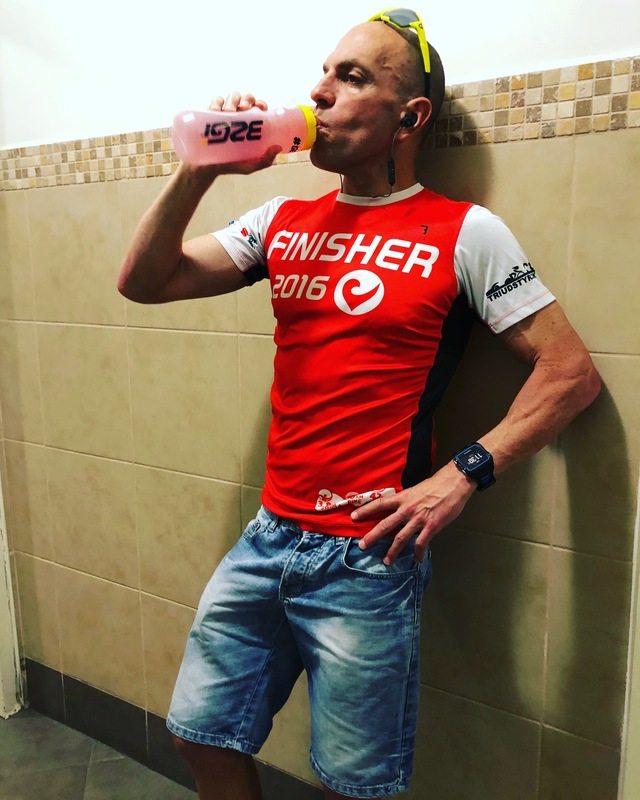 No matter how much fluid I took in there is a limit as to how much the human body can absorb (for more on hydration check out my blog Simply Hydrate). I had triggered a domino effect which spiralled out of control as my lengthy session continued. A few hours after this experience I finally managed to stabilize myself by consuming 32Gi Hydrate (click here for more on 32Gi Hydrate) and I felt a lot better. However unbeknown to me this was not going to be the end of my woes. Fast forward to the early hours of Wednesday morning when I woke up due to some dull aching lower back pain. Predominantly on the left side of the body. I lay there thinking very carefully about it as I am quite in tune with my body and this was not a typical lower back ache. I eventually pinpointed it and suddenly realized what was happening. It was kidney pain. My diagnosis immediately turned to worry. It was roughly three days since my bad experience and that was either bad coincidence or the onset of what could be rhabdomyolisis. Usually rhabdo is triggered by muscle damage or breakdown, which could have been triggered in my case of being severely overheated and dehydrated on my Saturday ride. The problem is this does put stress on the kidneys and in some cases renal failure can occur and that is life threatening and not something you want to be thinking about in the early hours of the morning. I got out of bed ran to the fridge and began consuming water with bicarb to start a process of helping the kidneys function and trying to take the stress off them. I did not know what the story was and had to wait until morning to visit the physician to have bloods run urgently. I got the first appointment that morning and immediately had the blood tests done. All I could do now was wait and keep with my bicarb hydration regime. I wish I actually had a blood sample from immediately post session as that would have shown a lot. The blood works clearly showed that I had undergone some very strenuous session on the weekend. The fact that I hadn’t really trained since then and the fact my creatine kinase levels were so elevated 4 days after was a definite sign of severe stress. However I was very happy to see that the kidney function was absolutely fine as that was my major concern. An interesting discussion with the sports physician left us asking a number of questions. If vasoconstriction was in full force where was the dehydration taking place? Where was the fluid leaving the body. Was it a much higher sweat rate later on in the session when I was fully over heated, and the effects of the medication had worn off? I did have a pit stop on route but the day was a blur if you ask me how much fluid left me during a pit stop I could never say. I did consider hyponatremia as possible high fluid consumption due to the body heating factor to keep cool but once I analysed my intake during the session I realised that it was not really an option, but could the stress on the body have hampered fluid absorption? The key indicator was how I felt and my weight post exercise showed definite severe fluid loss. To conclude this blog of my painful lesson learned I want to say a number of things. Firstly the human body is a complicated yet incredible landscape of brilliant engineering which will always look to find balance to keep us healthy and alive. It has the ability to operate under a wide range of conditions by taking care of itself in different ways. If you think that ingesting something so small will not upset the balance and rock the boat you are clearly mistaken. Our bodies are quick to react to anything that is placed in it and the consequences of our actions can be of either benefit or detriment. In this case it was the latter. Secondly I need to state that I am completely against NSAID’s (non-steroidal anti-inflammatory’s) during exercise due to the severe life threatening conditions that something like that can trigger when the body is under stress. It is like loading a revolver and playing Russian roulette. You can get away with it a lot but then one day the bullet can exit the chamber and by then it is too late. In my case being knowledgeable and having first hand experience working with athletes over many years of whom some I have known to have suffered renal failure and even kidney loss, it was quite an eye opener. I have always taken the utmost care to make sure that the timing of any medicinal intake and stress over the body do not coincide. However being one that avoids medication at all costs and maybe being more sensitive to it, landed me up in some deep water on this one day. The interesting thing is that in a shorter session even up to 4 hours nothing major happened it was only the last hour where the havoc began. This demonstrates quite clearly the pitfalls of hydration and sports nutrition over longer periods of time. It also demonstrates to the endurance community that no supplement or medicinal drug should ever be taken lightly. I have always stated the fact that an athletes body is finely tuned and tiny things can truly upset the balance as was shown in my case. I wrote this blog on my personal yet valuable experience, as a message to others out there. Make sure you understand that whatever you place in your body in one way or another will have an outcome. Understand exactly what the potential risks are for anything you consume and avoid anything that you know could potentially have a dangerous outcome.